Size : 61.9 x 40.0 x 18.8 mm. This particular meteorite is well documented, because it was a witness fall at 10:38 PM (local time) on the 12th of February, 1946. It was a large meteorite (75 to 100 tons) that largely fragmented high in the atmosphere, and thousands of large and small fragements hit the earth at high speed forming over 100 individual craters. 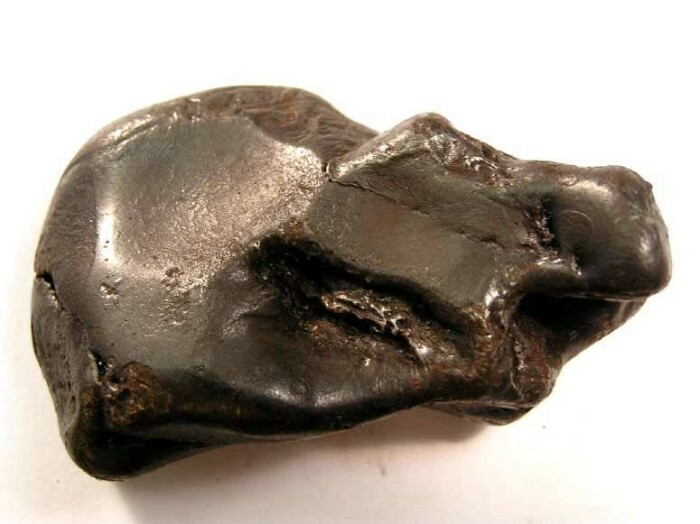 A google search for "Sikhote-Alin Meteorite" will turn up a lot of information on these.